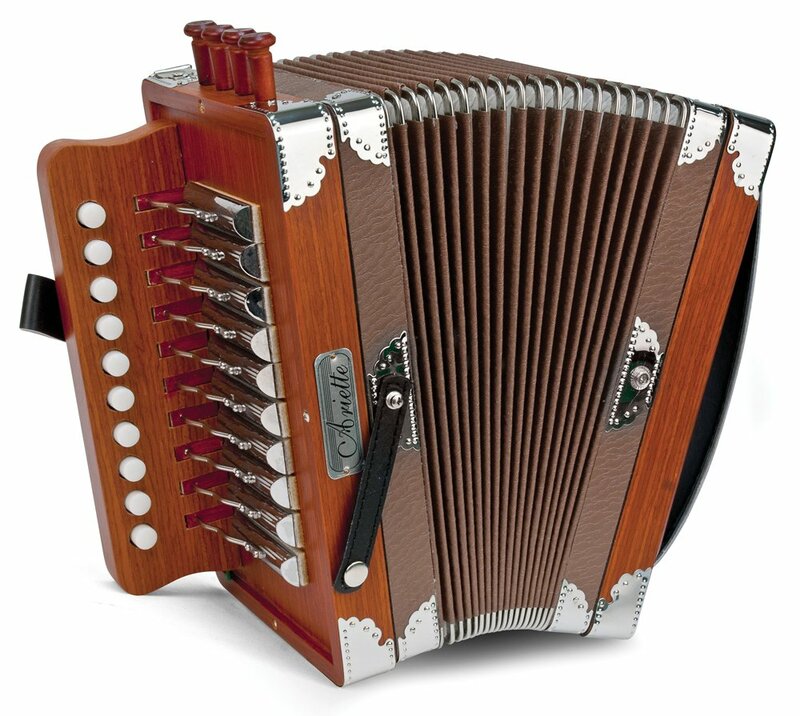 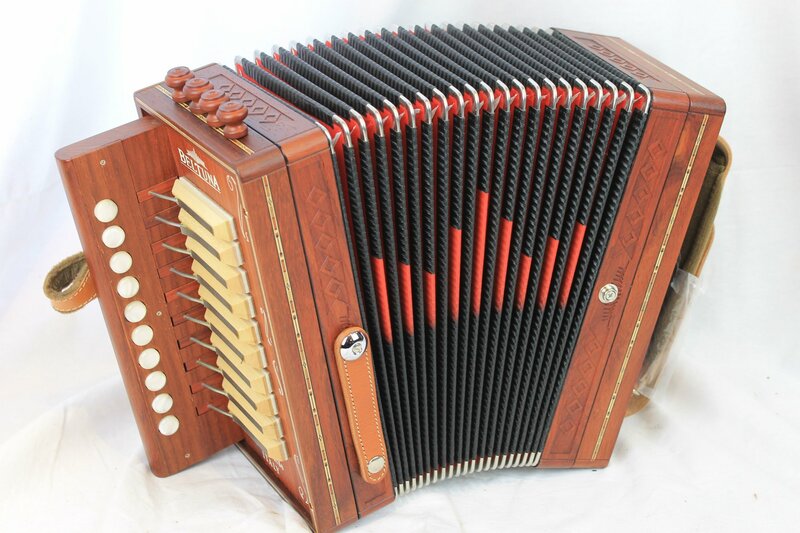 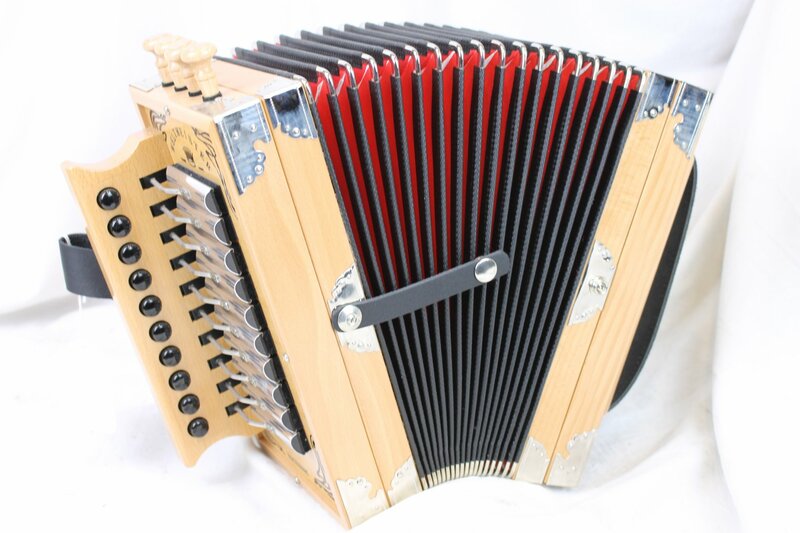 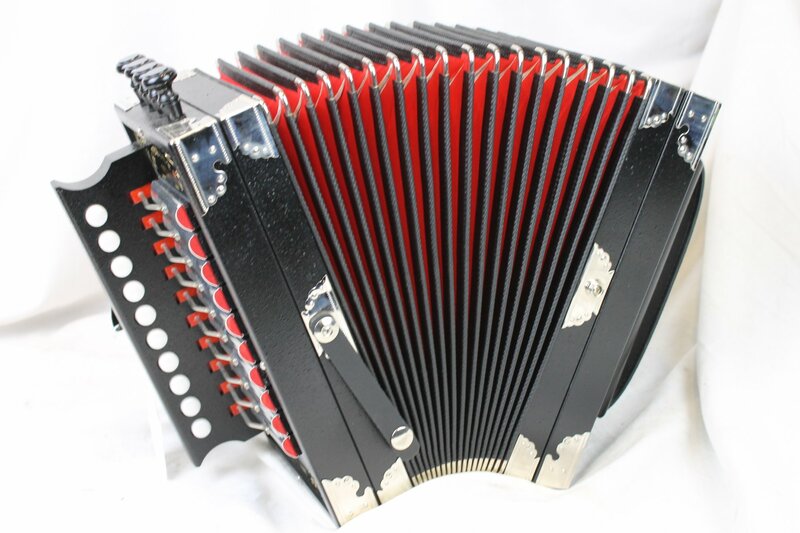 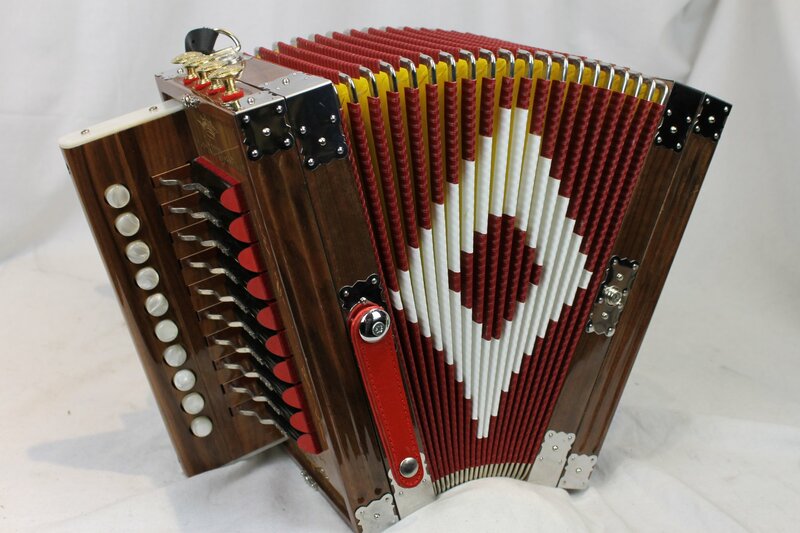 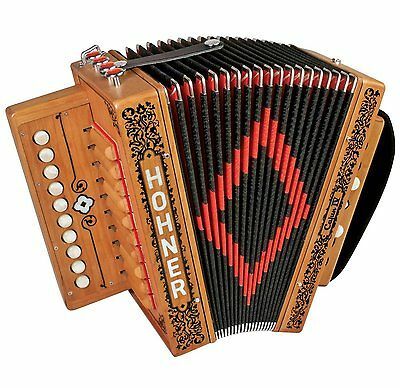 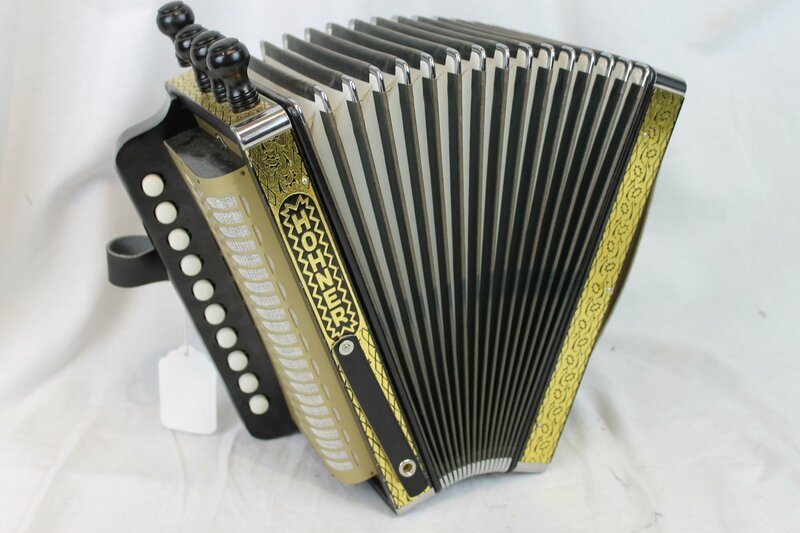 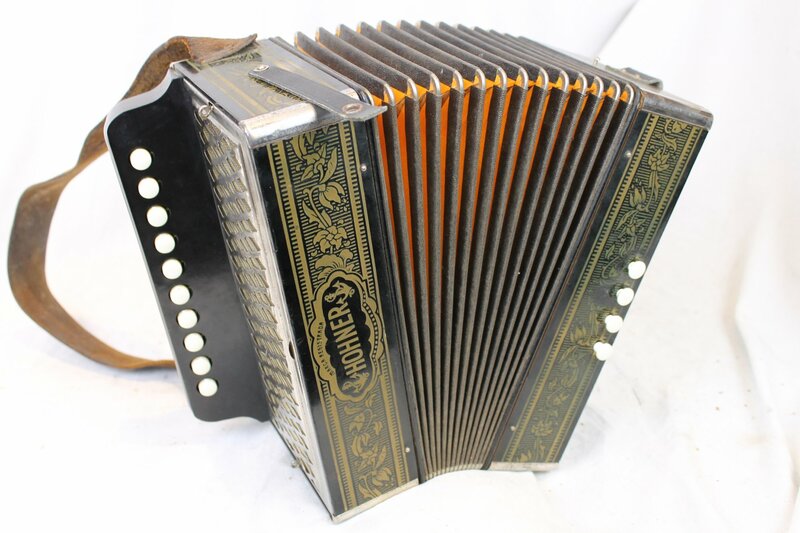 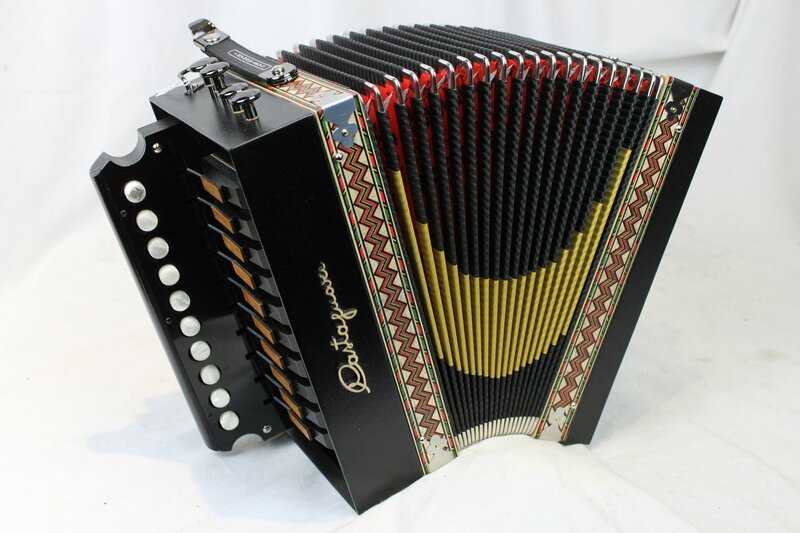 The modern one row melodeon is most closely related to the original 1829 patent for the accordion by Cyrill Demian in Vienna. 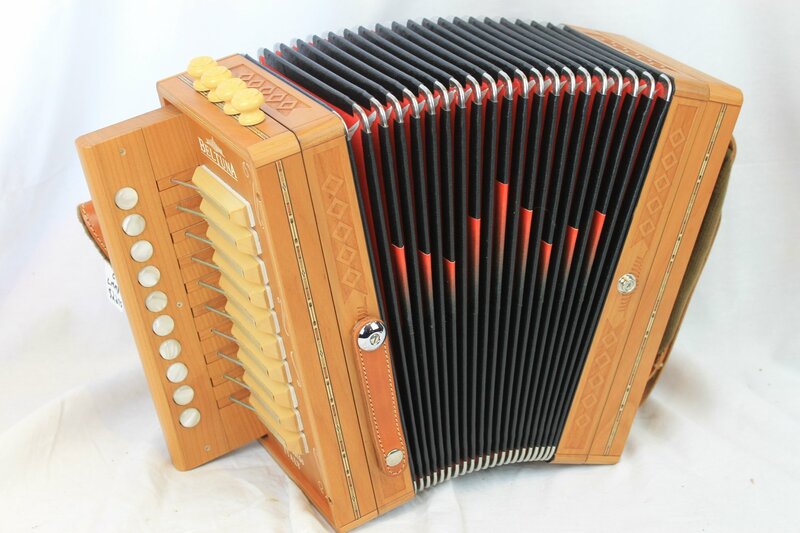 The layout is very similar to a diatonic harmonica that plays one key in a bi-sonoric manner. 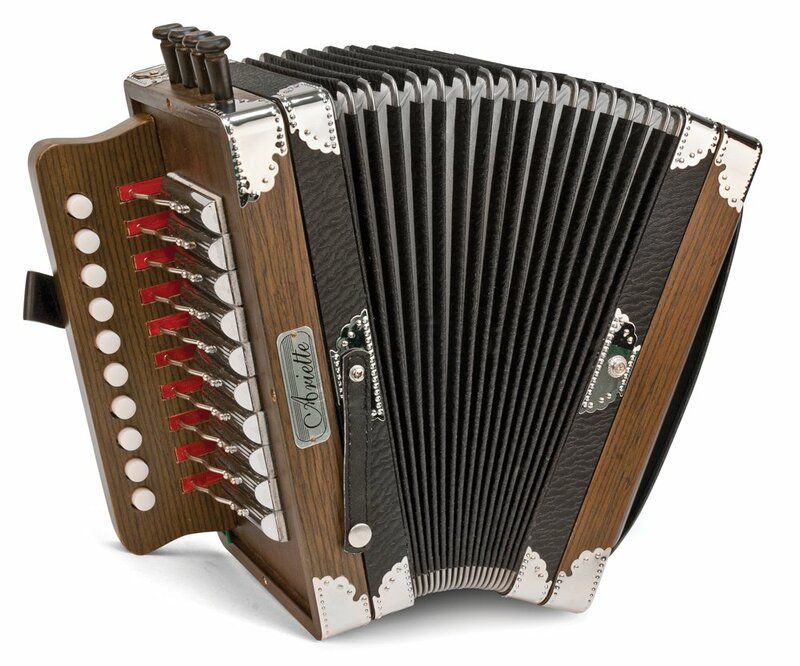 Due to the small, lightweight size of the instrument it traveled all over the world but is most popular in Cajun, French Canadian, and Irish traditional music.